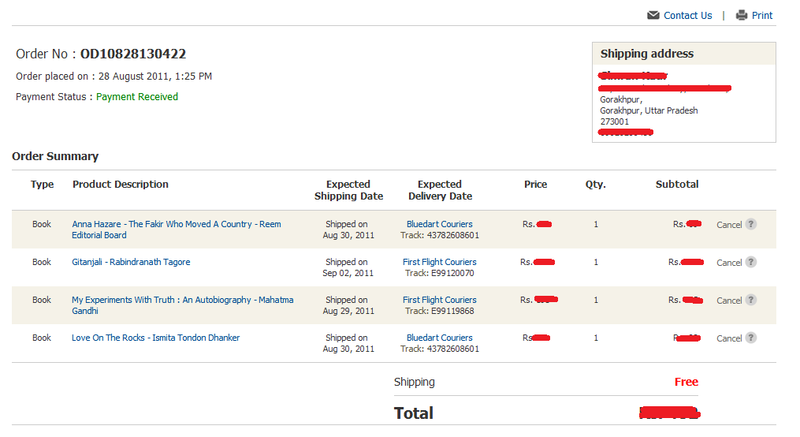 A memorable online shopping experience madness! “When you want something, all the universe conspires in helping you to achieve it” – says Paulo Coelho. I agree! It’s not every day you find someone whom you can befriend with. When you find someone precious, you cannot miss him or her in your life. He or she may be younger or older to you, fair or dark to your eyes, near or far from where you live, or whatever, still they are precious as your friend or sometime you cannot tag a label, and you so wanted to gift him or her as a gift, for what and who they are to you. I have a few close to my heart but she is a special one, actually a little one, with whom I share a special bond – a precious invisible bond to bind us! She is such a sweetie! This incident happened thirteen months ago, and all thanks to Mohinee of Gurukripa for hosting Grand Patriotic Poetry contest and inviting to judge the contest! It was a fantastic experience to judge the contest with poetic greats. Glad and blessed to judge an entry by Aadarneeya Ms. Swarna Kaurji and it is none other than the Grandmother of my little one! As I promised during the initial announcement, I wanted to send gifts, but how can I send gifts to Gorakhpur, Uttar Pradesh? I wondered! That’s when my roommate introduced FlipKart. It sounded like Greek and Spanish to me! ‘What? How? Are you sure?’ Puzzled I was, and the solution was simple. In fact, I was amazed by the collection they had under each category and variety. I learnt about the best deals, offers and what not – Online shipping itself is the best gift invented by a human for humans! I was so worried about the quality of the products, though it was books and it has to be delivered to Gorakhpur, Uttar Pradesh. A week had gone by peeping into my laptop for an email from Little One, but finally, it took ten days to reach Gorakhpur. I was the happiest man in the world to know that the books reached them in very good condition and Little One, her Parents and Grandma were happy, a lot in fact. But what made the experience so memorable was the reaction of Little One and Grandma. The below text was taken from Little One’s Blog post. I’m sharing here so late almost after 3 months about my so special gift I received from my Special One, Saravana! There was a Grand Patriotic Poetry Contest organised by dear friend Mohinee. 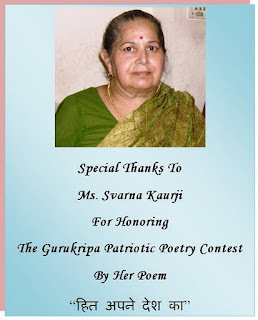 In this contest, I submitted my Sweet Granny’s poem हित अपने देश का. And when the result declared my granny and me started dancing with excitement because her poem was selected the best by Someone is Special! Then I lived that moment brought happiness to her. I saw something that I’d never seen before… tears in her eyes! But they were of joy, excitement and satisfaction. She has been writing poetry from so many years but they were compiled in a diary with no reader until I publish them on my blog. Now she has great talented readers here so she gets so eager to make me post them as soon as possible. All of yours appreciating and encouraging words have made her to pen down poetry again she skipped years before! I want to give a big thanks to Mohinee for organizing such a wonderful contest and to my Special One, Saravana for honoring my granny with such wonderful gifts. This might not have had happened if Online Shopping was not there. All thanks to Online Shopping for helping to strengthen a pure unfading sweet relationship in the world with my Little One, which cannot be named! I can cherish this memory forever! Do you like the story? Share & Like on Facebook, Pin on Pinterest, Plus and Share on Google or Tweet using the button here.. Do leave your footprints! Thanks in advance! I am so happy that you shared one of those most remarkable moments that I and Grandma will be cherishing for the lifetime. Grandma too read this post and she is happy and grateful to you. You made my day and added one more sweet unforgettable memory with this! I am short of words right now.